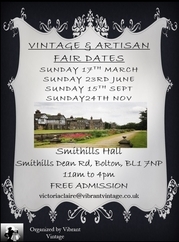 You are now viewing Vintage Fairs. Market Harborough Makers Market - Join us at Market Harborough Indoor Market where we aim to showcase local makers and crafters and their unique, handmade items. 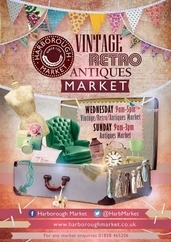 We are looking for crafters..
Market Harborough Retro, Vintage and Antiques Market The Wednesday Retro, Vintage and Antiques Market is held at the award winning Harborough Indoor Market in Market Harborough in partnership.. 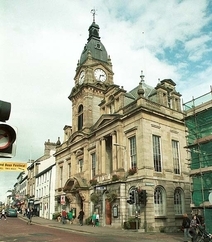 Very popular Vintage and Antiques Fair in the heart of Llandudno, the fair takes place in the lovely Victorian Town Hall. 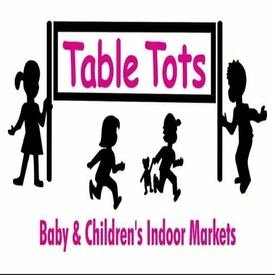 Room is full of stall Holders with a great Eclectic mix of Vintage and..
A selection of stalls selling handmade goods and bric-a-brac: knitted items, clothing, jewellery, cards, CDs and DVDs, soft toys, books and clothes. Free entry, dogs welcome. Refreshments..
Detling Antiques, Vintage & Collectors Fair- Head to the Garden of England for a cosmopolitan fair featuring a wealth of antique and vintage choice. 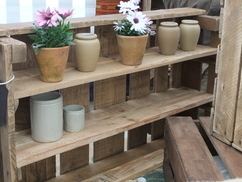 Our Detling event has up to 300 indoor stands..
4 Halls of Stalls. 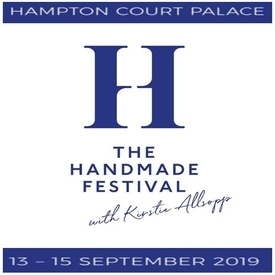 If you love rock n roll/rockabilly you'll love this event.The UK's leading event for jukeboxes, coin op, pinball etc.Stalls selling all things 1940's - 1960's.Jukeboxes, pinball..
Richmond Artisan Craft Market - The best local artists, crafters, food producers and ethical businesses. 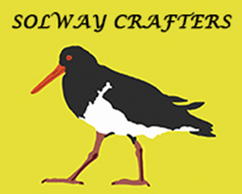 There are locally made arts & crafts, gifts, vintage, home wares and clothing. A tempting..
Eastleigh Craft Fair. 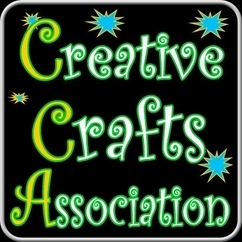 We organise arts, crafts and vintage events across the country. 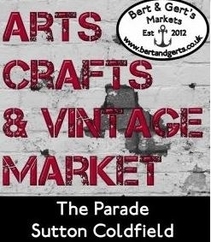 Whilst we love handmade items, we don't insist on everything being handmade but do encourage an arts and..
Spring Fair Alrewas Burton upon Trent - At Curly Magpie we organise vintage and handmade craft fairs and have a fantastic team of stallholders, so why not come along to one of our events and..
Up to 175 fantastic indoor stalls all bristling with all variety of amazing antiques, vintage and collectable items - at Brighton Racecourse. The fantastic Swing singer, Steve Conway, will be..
Lichfield City Centre Craft Fair. 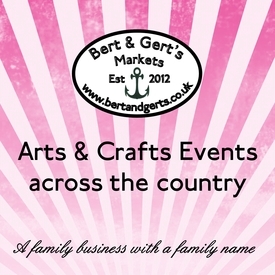 We organise arts, crafts and vintage events across the country. 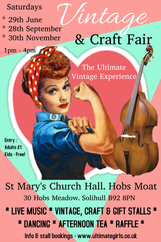 Whilst we love handmade items, we don't insist on everything being handmade but do encourage..
Join us for a trip down memory lane with quality, handmade crafts and vintage stalls, at our large, popular, Nostalgia Day arts, crafts and vintage fair. 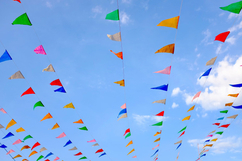 This is one of the largest fairs in..
Royal Horticultural Society Malvern Spring Festival - In 2018 we hosted the first ever Antiques & Vintage Arcade within the shopping arcades experience at the Royal Horticultural Society Malvern.. 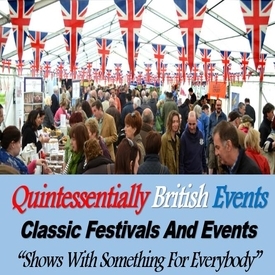 Craft and Gift Marquee within the event at Newark Showground, NG24 2NY. 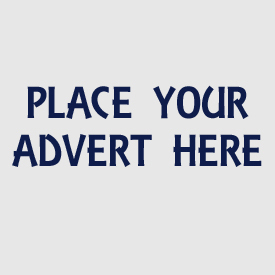 Nottinghamshire's premier agricultural and County show. This is the first county show of the season and attracts an audience.. 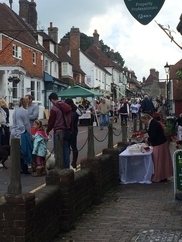 The Amesbury May Fayre is a Fate in the heart of Amesbury, Wiltshire. 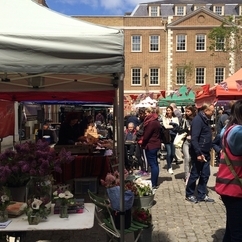 Last year we attracted 3000 people with traditional village fete theme, and this year we are hoping to grow on last years..
Mayfair is held in the historical and beautiful village of Mayfair, East Sussex. 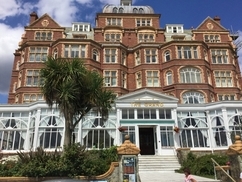 It is a traditional spring fair with Maypole dancing to music provided by the village band, Morris dancing and..
Southsea Craft Fair. We organise arts, crafts and vintage events across the country. 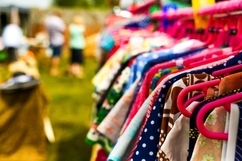 Whilst we love handmade items, we don't insist on everything being handmade but do encourage an arts and..
A bi Monthly Vintage Fair held in the picturesque village of Buriton near Petersfield. 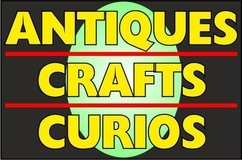 Full of all things vintage, retro collectable & antique. 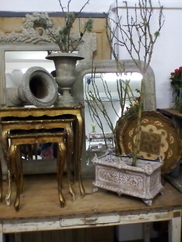 Including Clothing and accessories, books, china.. 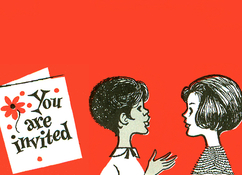 Event Organiser: Do You Vintage? 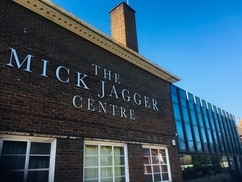 At the fantastic Mick Jagger Centre, we'll have over 35 stalls of vintage, retro & handcrafted items, including clothing, jewellery, accessories, collectables, furniture, housewares, artwork.. The Stonham Barns Steam & Vintage Show is a weekend of historic traction engines, steam rollers, stationery engines, agricultural and construction vehicles, working horses, wood and metal craft..
Chalfont St. Giles Village Market - This fabulous little artisan craft and food market is on the third Saturday of every month from 10am to 3pm. 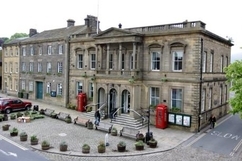 Located on the village green in the centre of..
Psychics, therapies, massages, holistic retail + collectables and crafts section. 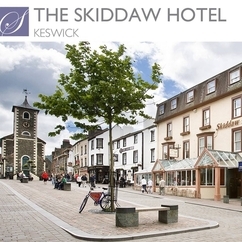 New stallholders receive a £5 discount off their first two fairs. Campers, Customs 'N Rods - This is an event with an array of customers! VW Campervans, Hot Rods, Custom Cars, Scooterists, Motorbike owners and their wives and children. 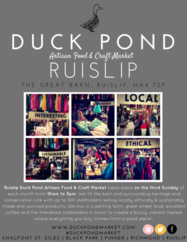 We are expecting a large..
Ruislip Artisan Craft and Food Market - Found at Manor Farm which is a conservation and heritage site. The market is set in and around a beautiful 13th century barn. Held on 3rd Sunday of the..
Whitsun Markets - nr Warwick - We are looking for a wide range of individuals and businesses from crafts to candles, clothes to cushions and general market traders to join us for our Outdoor..
St Ives Antiques Fairs are held six times a year in the comfortable Burgess Hall, One Leisure Centre, Westwood Road, St. Ives, Cambs, PE27 6WU. 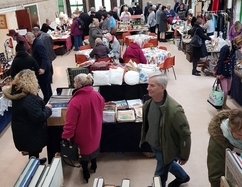 As well as providing a spacious hall for around..
Malvern Flea & Collectors Fair - The UKs LARGEST flea fair � held nine times a year. 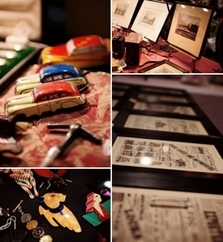 Experience the �Malvern Magic that is the biggest flea fair in the country. 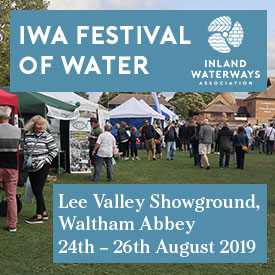 Hundreds of stalls across two..
A selection of stalls selling handmade goods and bric-a-brac: knitted items, clothing, jewellery, cards, CDs and DVDs, soft toys, books and clothes. 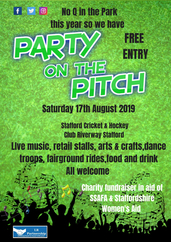 Free entry, dogs welcome.Refreshments available.. 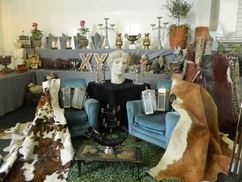 The Floral Fringe Fair is eclectic, quirky and friendly. 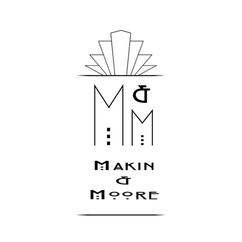 It is all about handmade and homemade by the person selling it. It is also about the countryside, plants, wildlife, food, vintage, Steampunk..
Summer Craft Fayre - nr Warwick - We are looking for crafters, individuals and small business who sell hand-made or hand-crafted products such as jewellery, artwork, personalised giftware, pictures..
Lingfield Antiques, Collectables and Vintage Fair at Lingfield Park Racecourse. 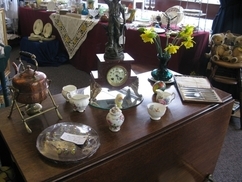 Up to 130 fantastic indoor stalls in multiple areas all bristling with all variety of amazing antiques, collectables.. 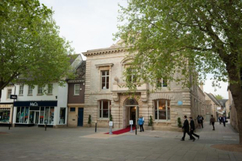 The Vintage & Artisan Fair runs in the beautiful Corn Hall right in the centre of Cirencester. 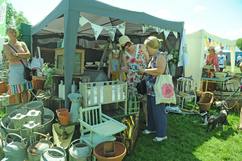 We have a fabulous array of great stands including vintage jewellery, ceramics, clothes and craft.. 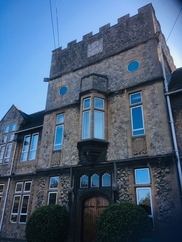 In the lovely historic hall setting of Dartford Girls' Grammar School, well have over 40 stalls of vintage, retro & handcrafted items, including clothing, jewellery, accessories, collectables..
Psychics, therapies, massages, holistic retail + collectables and crafts section. 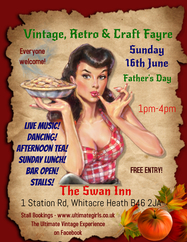 You are invited to the Ultimate Vintage & Craft Fayre at The Swan Inn Whitacre Heath! 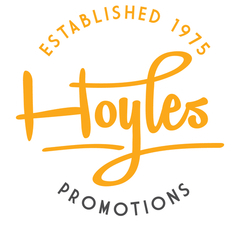 !- SUNDAY 16th JUNE 2019 1pm-4pm Father's DayFREE ENTRY!Live music, old time dancing no partner required.. 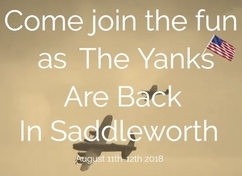 Situated near Ashby de la Zouch in Leicestershire, this two day event is a great outing for all the family. 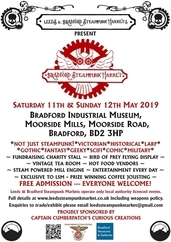 Visitors can step back in time and see: - steam engines- vintage tractors- historical..
We are looking for traders and vendors who sell crafts, jewellery, recycled products, bags, scarves, wall art, cards, candles, books and more? 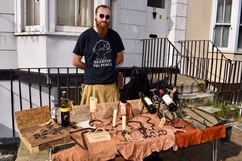 Unsure about your products then please ask me..
Highgate Artisan Craft and Food Market - The beautiful 15th century Lauderdale House is at the south end of Highgate High Street. 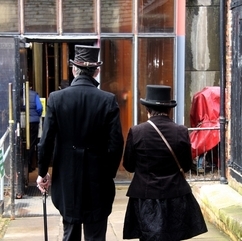 It is set in gorgeous gardens and located next door is the..
Summer Markets - nr Warwick - We are looking for a wide range of individuals and businesses from crafts to candles, clothes to cushions and general market traders to join us for our Outdoor..
Steampunkalia 2019 - Don your top hat, dust off your time-travel gadgets and clear your diary. 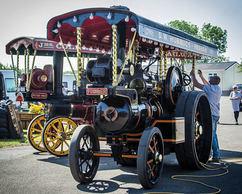 Because our ever-popular Steampunk festival, Steampunkalia, is returning! 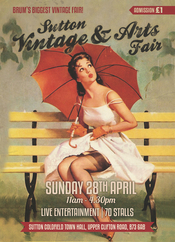 This event features fun..
Over 35 stalls of vintage, retro & handcrafted items, including clothing, jewellery, accessories, collectables, furniture, housewares, artwork, vinyl, midcentury, lighting, ceramics and upcycled..
Vintage and retro lovers are being invited to roll back the years and dress to impress for Helen Rollason Cancer Charitys Vintage Fair on Sunday 30th June, as we celebrate all things vintage..
A family event on at the Bandstand on Folkestones famous grassy Leas overlooking the English Channel. 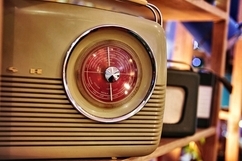 There will be music from Vintage Ruby, The Dulcettes, Folkestone Community Swing Band, Lindy.. 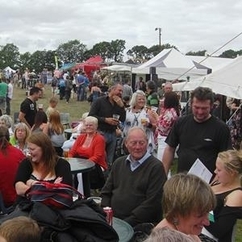 The Kings Bromley Show is held on the fourth Saturday in July each year and is one of the longest running shows in Staffordshire. A friendlier show would be hard to find and around 2,500 people.. 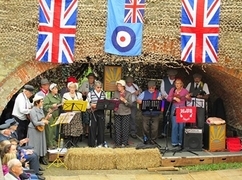 The Far Forest Countryside Show offers two days of wonderful entertainment in a beautiful setting. Two arena's provide continuous entertainment - in previous years there have been dog shows..
As Victoria Park is being revamped we cannot hold Q In The Park there this year. 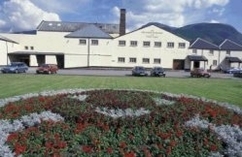 So not to disappoint we will move to Stafford Cricket & Hockey Club on Riverway Stafford for a full day of live..
Ben Nevis Distillery Crafts and Hobby Fare - LAST FEW STANDS REMAINING!Stands are booking up fast and we only have a few spaces left!This is the perfect opportunity to sell your products at..
One venue, two events, that will give all the family a fun day out for the bank holiday Monday. 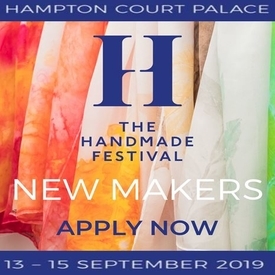 Inside, we have one of the largest fairs in the area, with three rooms packed with quality goods..
Ramsgates Handmade Fair joined the new Team for the Addington Street Festival in 2016 + 2017 AND 2018........ 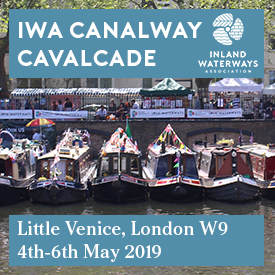 The Events have been such a success that we are doing it again in 2019. The Team.. 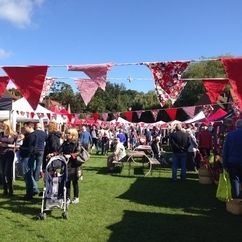 Autumn Craft Fayre - nr Warwick - We are looking for crafters, individuals and small business who sell hand-made or hand-crafted products such as jewellery, artwork, personalised giftware, pictures..
A fabulous selection of vintage clothes, textiles, vinyl, gifts, accessories, jewellery, toys, books, collectables, kitchenalia from some of the best traders in the locale. 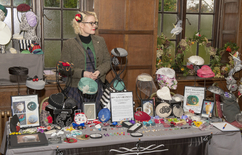 Complimented by..
Now in its seventh year, the Fabulously Vintage Fair returns for what promises to be a truly vintage day out for all the family on Saturday 21st September (10am-4pm). 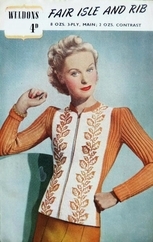 The Fabulously Vintage.. 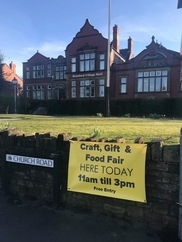 Mind, Body & Soul Fair - Mountsorrel - Psychics, therapies, massages, holistic retail + collectables and crafts section. 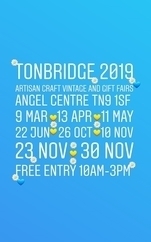 We are looking for traders and vendors whose products have a �vintage style� from jewellery, crafts, soaps, wall art, records, and cakes to bunting, preserves, antiques, china, knitwear and..
Psychics, therapies, massages, holistic retail + collectables and crafts section.New stallholders receive a £5 discount off their first two fairs. 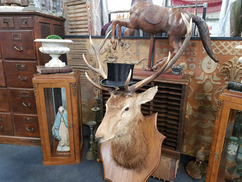 Hampshire Antiques & Brocante - Browse indoors amongst over 40+ stalls offering decorative Antiques, Collectables, Vintage, Jewellery, Retro, Furniture & mixed Paraphernalia. 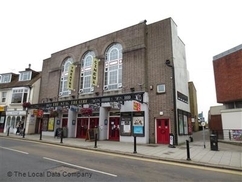 The leading UK fair for jukeboxes, pinballs, coin op etc. If you love Rockabilly/Rock n Roll, you'll love this event. 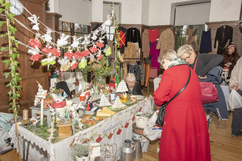 100+ stalls selling the very best in jukes, neons, coin op, pinball, 40..
Join us for our Autumn Vintage and Handmade Fair at The National Trust Calke Abbey in the riding school. Free admission into the fair. Entrance fee to the estate does apply. 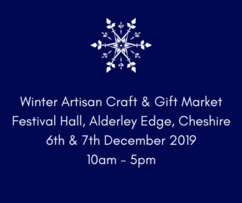 National trust..
Christmas Markets nr Warwick - We are looking for a wide range of individuals and businesses from crafts to candles, clothes to cushions and scarves, toys, bags, books, hampers, artists, beer..
A fabulous selection of vintage clothes, textiles, vinyl, gifts, accessories, jewellery, toys, books, collectables, kitchenalia from some of the best traders in the locale. Complimented by a..
Lutterworth Christmas Lights' switch-on. 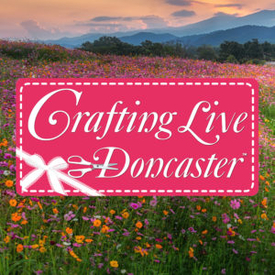 Crafts and collectables for Christmas. 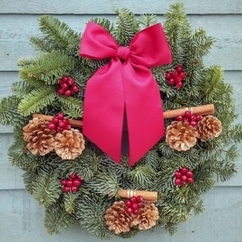 Crafts for Christmas - Lutterworth - Christmas gift's fair. 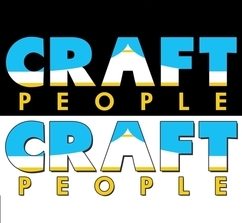 Crafts and collectables. 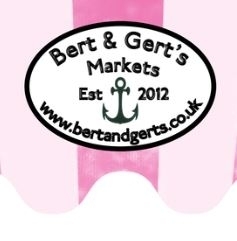 New stallholders receive a £5 discount off their first two fairs. 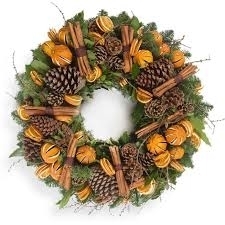 Our Christmas Fair at the Mick Jagger Centre will have over 35 stalls of vintage, retro & handcrafted items, including clothing, jewellery, accessories, collectables, furniture, housewares..
Highgate Christmas Artisan Craft and Food Market - The beautiful 15th century Lauderdale House is at the south end of Highgate High Street. 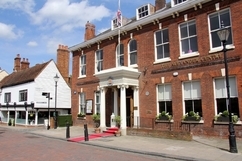 It is set in gorgeous gardens and located next door.. Triple Red Glass Tea light holder -..
Button Art Tree and Falling Leaves..
Clutter Decorative Christmas Tree Handmade..